EBooks, audios and videos to assist you in the self-healing journey. Easy, simple and practical tips for tapping on anxiety. 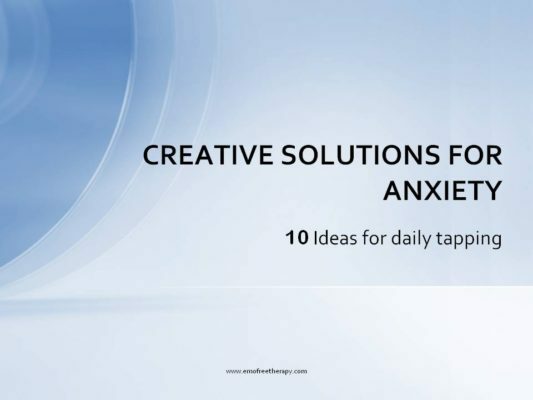 Whether you are working with an EFT Practitioner or tackling anxiety on your own, this presentation will help you discover 10 different ways to reduce and manage your anxiety on a daily basis. This is an edited version of the YouTube Live event held in April. After payment, video will be mailed with 2-3 working days. A new way to look at EFT. 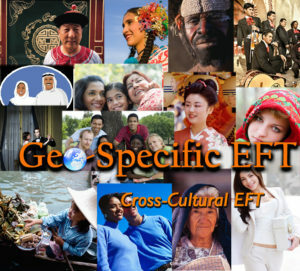 Instantly understand concepts by just looking at the illustrations – you don’t have to read long explanations to get the meaning of foundational concepts and techniques in EFT, anymore. 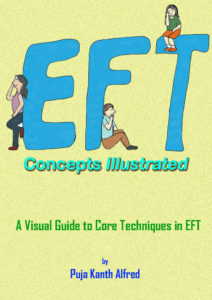 EFT Illustrated is a visual guide to foundational concepts in EFT. It explains the core concepts like – tabletops and legs, apex affect, cognitive shifts, chasing the pain, tearless trauma technique and many more concepts like these through illustrations. 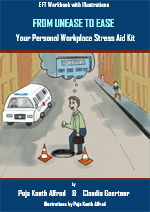 From ‘how to tap’ to ‘reframing’ in EFT, this book covers them all! The book is excellent, the concepts are illustrated so well, it’s going to go down a storm! People can now get complex concepts in one go by seeing them illustrated. 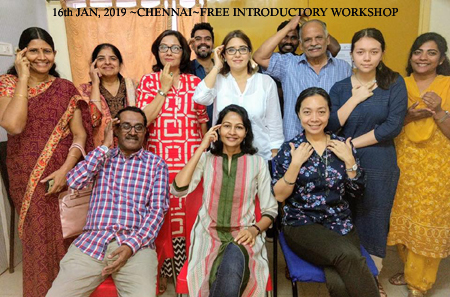 “Puja has made an incredibly useful tool for helping people understand EFT’s foundational concepts. 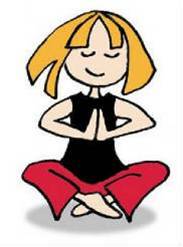 Beautiful, friendly illustrations accompany simple but memorable visual examples to help the new user easily absorb the core concepts of EFT for creating better, happier lives. Explains elements of EFT in such a simple manner. Will look forward to sharing this with my clients – Thanks you. 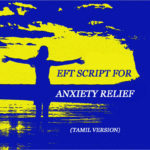 The "EFT Script for Anxiety Relief" Ebook has been translated in Tamizh by Saranya Shanthakumar, B.Tech (Bio), EFT & NLP Practitioner. This book is entirely in Tamizh, translated by Saranya Shanthakumar. After payment, you will receive the ebook within 2-3 working days. 1. Identify the various aspects of self image. 2. Use affirmations to release limiting beliefs. 5. Increase self growth and enhance self image. You don't have to worry about framing EFT affirmations anymore! 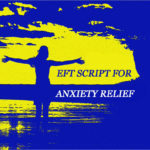 Start using ready-made, easy to use EFT scripts/affirmations immediately. After payment, the chart will be mailed to you within 2-3 working days.